Everyone is invited to attend to adore and to honor the Eucharistic Presence of Christ. 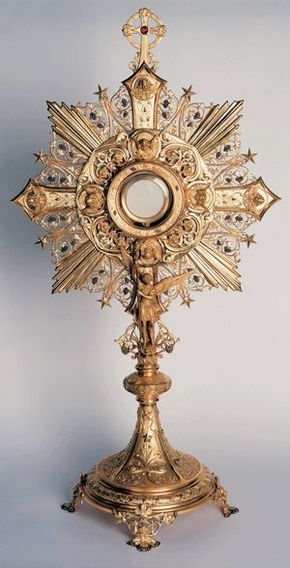 Give Adoration a try and see how it will change your life! Each hour that you spend with Jesus will deepen His divine peace in your heart. Feel free to borrow the books for meditation and prayer that are available in the church entry.